Standard the XXL-Series screen has its screen fabric fall from the front. The Beamax XXL-Series screens are build with high quality tubular motors from Nice. The RTS motor is not available for this serie. 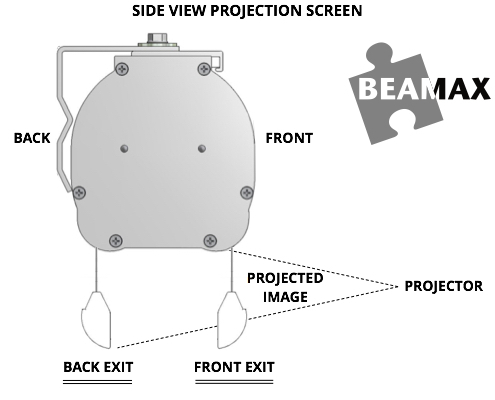 Having tools which are made to measure for the projection environment is the best way to obtain effective communication. 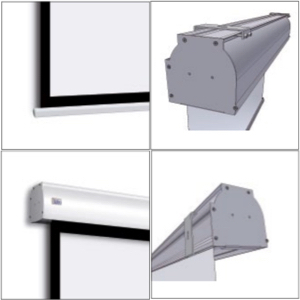 When it comes to projecting in large spaces the best solution is XXL-Series, the screen devised especially for large-scale applications. 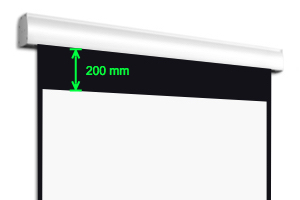 Large-scale screens no longer fear the “tensioning test”. 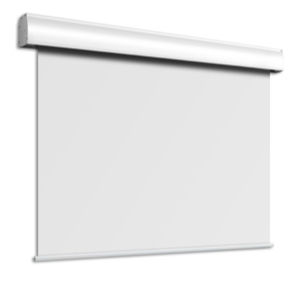 In addition to its trademark 150 mm diameter aluminium roller, and the case which is open underneath, the XXL-Series screen can count on another formidable feature to guarantee the perfect planarity of large-scale canvases: the constant tension system, which ensures the constant self-tensioning of the screen by means of two counterweights hooked onto hinges placed at the ends of the screen’s base, devised for tensioning rigid cables threaded through lateral eyelets. 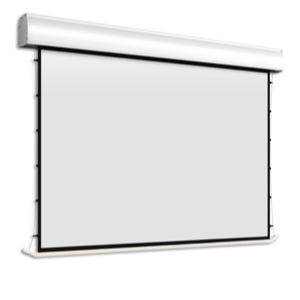 This also prevents the formation of creases during rolling, since the eyelets are positioned outside the projection surface.